Opening up decision making to the people can have mixed results. While it may transpire that The Donald has been on a wind up all this time and doesn't plan to set advances in social equality back decades and ignore climate change in favour of erecting a giant Trump sign on the moon, it seems all too likely that the decisions of two million people fewer than voted for his opponent will have condemned the world to a period of seat-of-your-pants instability. On the other hand, inviting the public to name a new research vessel this year brought the marvellous Boaty McBoatface into the global consciousness (even if the public's will was ultimately ignored and overruled). The legacy of the RSS David Attenborough lives on now in the Australian beer world in the form of Two Birds Brewing's latest Flight of Fancy. 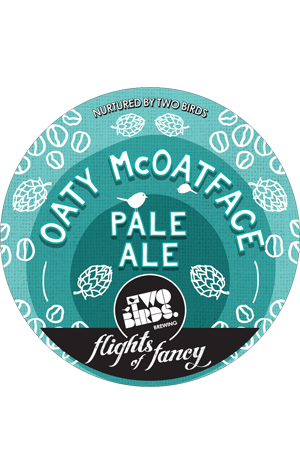 Oaty McOatface is a pale ale, but one featuring a pair of types of oat – Flaked and Golden Naked – which we're told "add a silky smooth richness and a light haze to the beer." Also in there are US hops Mosaic and Amarillo and locally grown Ella to contribute "tropical fruit and piney notes", all of which sounds like a recipe for tasty summer drinking. Hoppy, oaty and pale. Oaty McOatface.